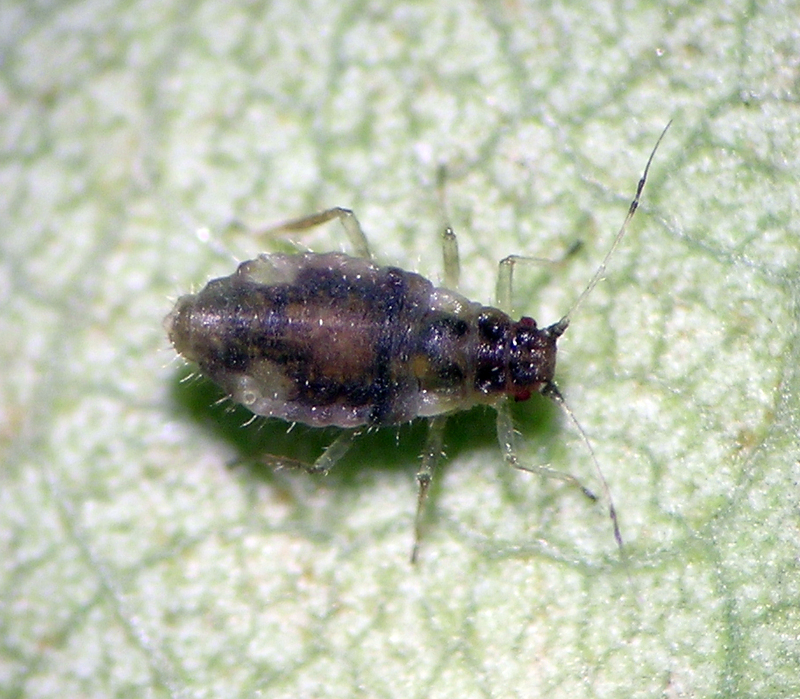 This is a large genus of just under 100 species, feeding mostly on Populus and Salix. 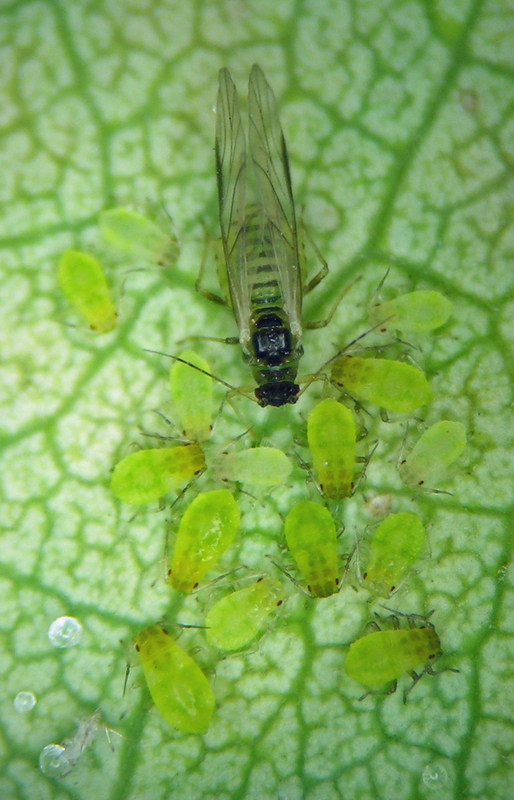 A Chaitophorus alate vivipara and her nymphs in October. I am interested in it despite it being outside my favorite subfamily, Aphidinae; the reason for my interest is that so many of the samples I collect are not identifiable with existing keys. 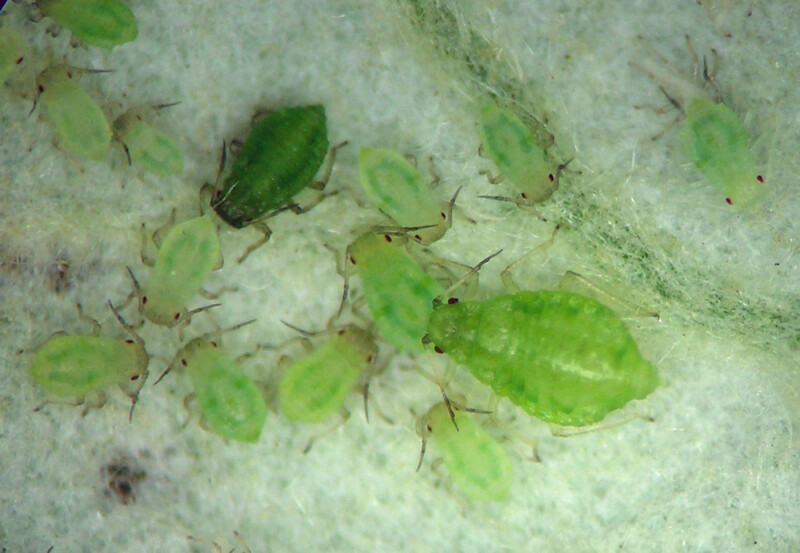 This is one of the aphid genera in which many specimens seem to fall intermediate in the discriminating ranges of measurements and ratios provided in published resources. Consequently, many of the samples in my collection remain identified only to genus. For example, even this specimen to the right, collected on the very common Populus tremuloides, is without a species name in my collection. I could make a pretty good guess on the species, but as I have written elsewhere, I tend to avoid such uncertain identifications in genera like this one. Chaitophorus is easy to find in diverse habitats, from the highest mountains where Salix and Populus grow, to the desert canyons of Arizona and New Mexico. 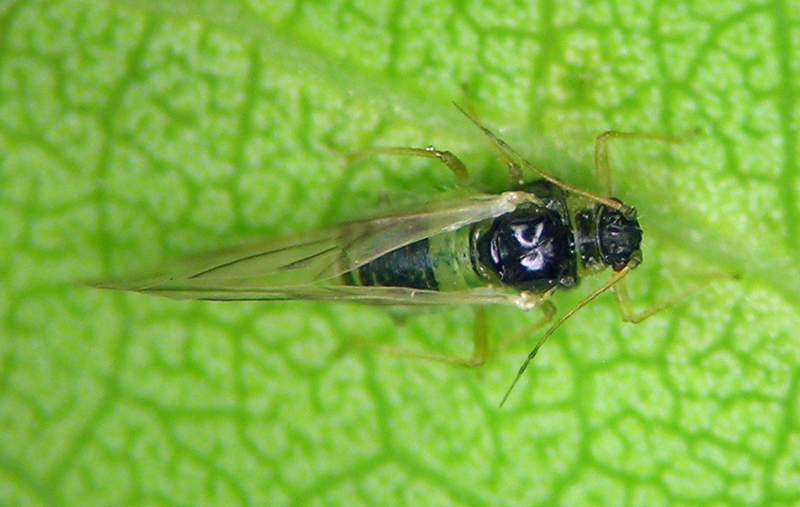 This species lives on various Populus species across North America. I have collected it quite a few times, and in fact it was one of the first species of the genus I felt confident identifying back in the 1990s. I so far have samples from Washington, Idaho, Utah, Colorado, New Mexico, and Wyoming, mostly collected on trembling aspen, Populus tremuloides. It is unusual for having both alate and apterous males (see photo below). Chaitophorus neglectus ovipara from Pullman Washington in October. 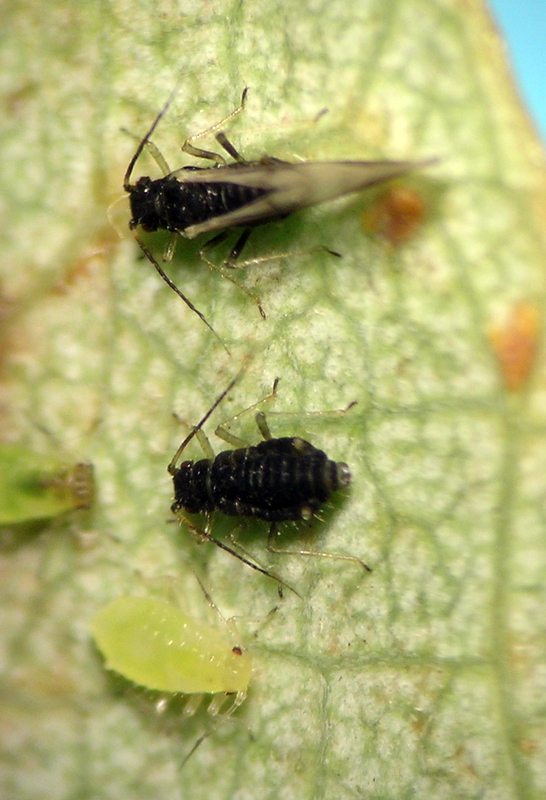 Chaitophorus neglectus alate and apterous males from aspen in Hayden, Idaho. This is a widespread introduced species in North America, originally from Europe. I have identified it only a few times, from Idaho and Oregon. 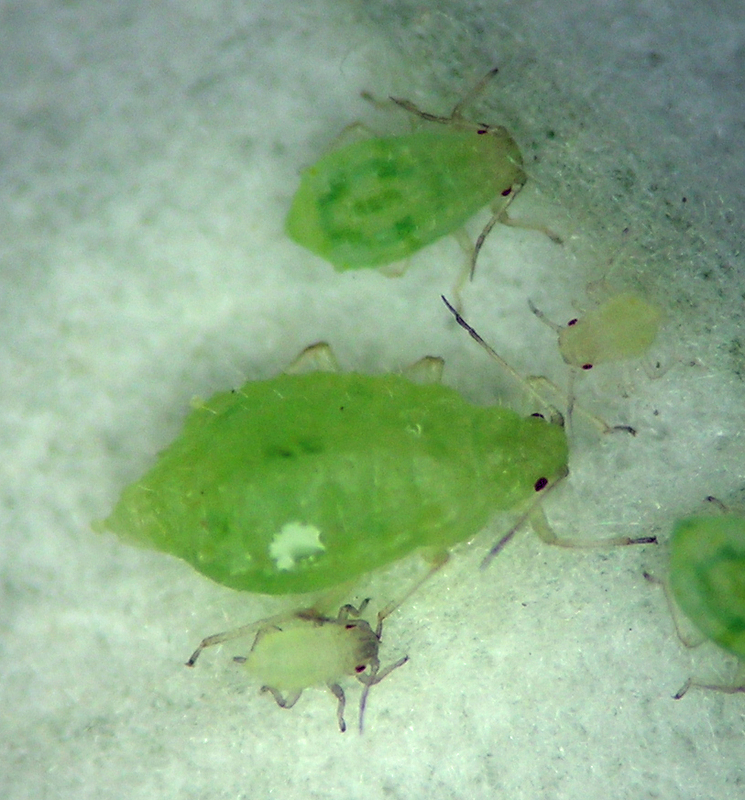 Chaitophorus populialbae fundatrix and some nymphs from Populus alba. 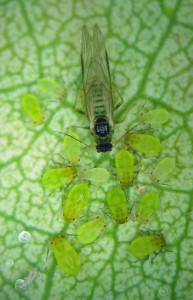 Chaitophorus populialbae apterous vivipara and nymphs on Populus alba. Chaitophorus populialbae alate vivipara from aspen in southern Idaho.